Losing a tooth as a child was the best: The tooth fairy came, you got “free” money, and a new tooth grew in. As an adult, the story looks a little different. You probably “know” the tooth fairy by now. The only “free” money you may get is a tax return refund – if you’re lucky. There is no new tooth growing in. Except maybe a wisdom tooth but that’s a whole other story. Our restorative dentist in Chandler, AZ, Dr. Robert Walker Jr. understands that there may be nothing more frustrating than having a missing tooth as an adult. A missing tooth can affect your confidence, ability to eat and speak, cause your facial structure to deteriorate, create space for adjacent teeth to move, and result in many more problems. 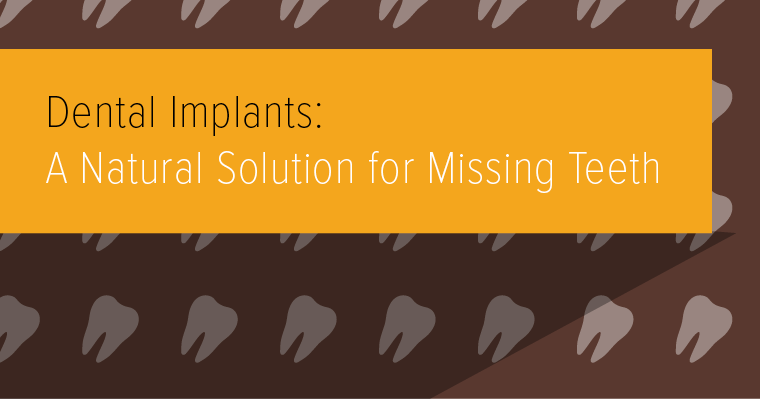 Thankfully, modern dentistry provides a way to replace missing teeth permanently. This restorative treatment is the number one tooth replacement solution because it replaces the complete tooth, from root to crown! Your new tooth will have the same natural function and appearance of your natural teeth, seamlessly blending in with your smile. Want more to love? Read our infographic below! Want to find out if you are a dental implant candidate? Contact us today to schedule a consultation with our restorative and cosmetic dentist in Chandler, AZ.